After you have decide to finally end your relationship and make the separation of ways into legal actions, the next thing to do is understand what will happen, what are the things that you need to do and what are the circumstances that may occur for such act. The following are basic guidelines on divorce family law that will help you gain more perspective about what is it to expect and what are the legal considerations accompanied by marriage dissolution. Filing of petition for divorce or separation. After you have gathered all the necessary documents and legal papers, the nest step to take is to file the petition for marriage dissolution in court. The petition is then serve to the respondent and he or she will be given a period to respond. He will be given the chance to comply with the said petition and seek legal assistance from an attorney Divorce family law varies from different state and country, depending on what the law dictates either party may ask for orders from the court such as temporary orders for child support. Discovery stage. After the petition is filed, the nest step for most divorce family law is the gathering of all the necessary information such as marital property and assets. 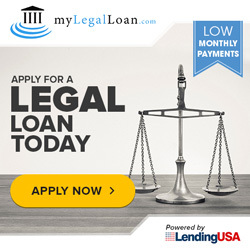 Bank statements and other legal documents may be submitted and needed at this stage. Mediation. If both parties have arrived into a mutual agreement regarding how the property will be shared, the custody of minor child or children and alimony that will be given if the state requires for it, they may opt not to proceed for court hearing. But in cases that either or both did not agree to go for out of court settlement, then preliminary hearing of the case will take place. Depending on each state, family divorce law may vary but most likely the process is almost the same. I’ve never been good at understanding the “legal” world, but this has helped me understand a little more about how divorce works. I’m still a little confused about the difference between divorce and separation though. I didn’t know that divorce law varies in different states, I thought it was all a general thing throughout the country. Thanks for all of the info! Great advice! Ending a relationship can be one of the more difficult things you do in your life. If you do decide to go that route, it is always a good idea to get professional help. I know that if it were to happen to me, I would for sure see about hiring someone to help me with the filings and mediation. That’s really interesting to know that there are multiple steps to the divorce process. I think maybe spending extra time on the meditation process might be in the best interest of both parties and the children since divorce must be a trying time for everyone. I’ll have to send this info to a friend who is currently dealing with a family law situation right now. Thanks for the info! Thanks for posting your knowledgeable tips on divorce family law. Really Helpful tips..